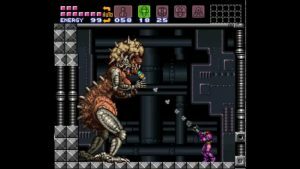 Editor’s Note: This article was originally published on August 11, 2016, but we figured we would run it again for Super Metroid’s 25th anniversary. It begins with a dull hum, and a looping alarm. We are taken by the distressed chirps of an unknown entity. The scene pans across to reveal carnage, and the last Metroid in existence sat in the center of it all. 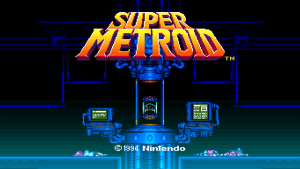 Super Metroid’s title treatment hits heavy and atmospheric well before there’s even any music to speak of in the traditional sense. It pays to remember that this is a Nintendo game, that up until this the developer had not even hinted at the darker aspects of storytelling. Here it opens with murdered scientists and a doomed space station, with one of the most haunting opening title treatments to have been seen in the medium. You couldn’t argue that Metroid was making anything other than bold narrative choices. The Metroid series is quite possibly Nintendo’s most unique, it stands in a strange corner of its own when compared to other titles released by the company. It aimed to be a serious sci-fi adventure, one that didn’t have the fun romps of Mario, colourful cast of Zelda, or the carefree, friendly fun of Kirby. Instead Metroid was, and for the most part always has been about solitude. While the first two titles in the series, Metroid on the Nintendo Entertainment System and Metroid 2 The Return of Samus on Gameboy respectively, had attempted to create the feeling of you alone against a hostile world, it wasn’t until Super Metroid that everything truly clicked. Super Metroid‘s soundtrack has a truly special space in the Nintendo catalogue. It is a score that uses the limitations of the console to it’s utmost. It does this firstly by layering in atmospheric sounds, background noises, and effects as part of the score for any section of the game. It is simultaneously a soundtrack to the game and a recording of the sounds found in a barren and oppressive landscape. Each track is also stitched into the fabric of the different sections of the planet ‘Zebes’. From the offset, the game hits an impressive and audibly involving stride. Just listen to the opening prologue music and tell me it doesn’t simultaneously get your heart beating and your spine tingling with its techno-futurist bass grumbling theme and the open almost operatic space wailing (it hits its high mark at about a minute in, just haunting). 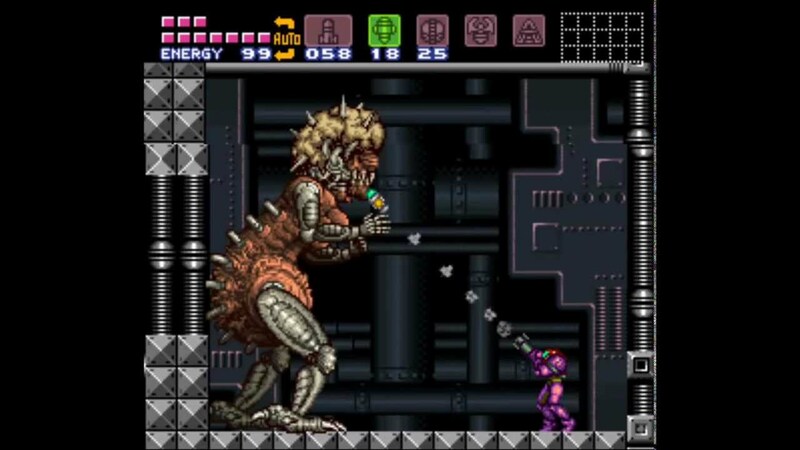 Super Metroid is the prime example of the highest highs found in any so dubbed metroidvania style game. It’s a sprawling and often confusing space, with interconnected paths and hidden tunnels. It’s the purest progenitor to the genre and arguably the greatest metroidvania style action game made. While the game could easily become confusing and difficult to traverse, the music works it’s second trick, interweaving with different sections of the game, being an audio marker that tells you exactly where you are and what to expect. Right from the opening moments after planet-fall, the soundtrack singles you out and creates an oppressive environment. Also hearing a new track for the first time will normally swiftly set off some alarms in your head, because, if anything can be learned from stumbling into a new area in Super Metroid, it’s probably that you are far from ready and you should come back later. The Norfair track “Fires of Zebes”, is especially effective at conveying its deadly environment through the score. The air feels thicker like the music is passing through a layer of water. Dense with heat while Samus is surrounded with bubbling and popping magma. The soundtrack also marks the games boss encounters, allowing for a feeling of grandeur in each encounter. The music to each boss sells an impending doom, mixed with dread and reaching a crescendo upon reveal. Further, the games final encounter with Mother Brain makes quite an impact. It is a track that not only enhances this epic and unexpected final encounter but also builds upon the history that the series has already built up between Samus and her aggressor Mother Brain. The track features heavy low bass tones and high pitched squawks. Mother Brain is massive, imposing, and filled with an animalistic rage. Screaming out to the world as you intrude upon her domain. Her anger and desire to see an end to Samus is almost tangible. The synth-organ here cutting through the atmosphere like a series of glass shards. The grinding bassline adding to the already daunting girth of the encounter. 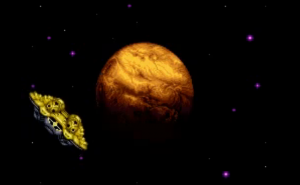 Kenji Yamamoto’s and Minako Hamano’s soundtrack to Super Metroid is a master class in audible storytelling and world-building that amplifies the intended atmosphere. It makes the intangible tactile and real, and stands as one of the untouched classic soundtracks of all time. 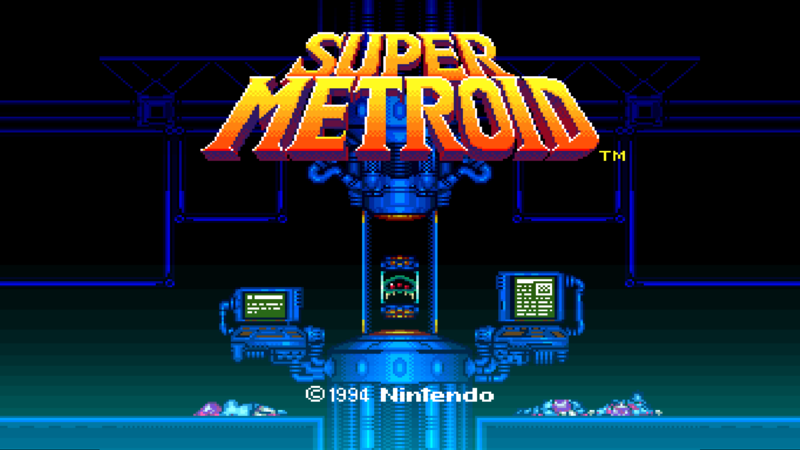 Next time you get to play Super Metroid, take a moment to get a sense of how the soundtrack makes you feel, and more importantly how it amplifies and enhances the game to create an experience arguably on par with any 3D adventure and horror title made today. Robin "Seiibutsu" Smith, man, myth, legend, layabout! Robin has been writing about video games and interactive digital media since 1999. He's written for sites small and less small. Crafted podcasts with friends and industry veterans. Streamed games on twitch for (he says) 48 hours for charity. Name it Robin has done it. Some say not very well, but he gave it a good college try. He also writes about games over on his own site : Videogame Cliche and tells stories over at A Series Of Down Endings (Link : https://aseriesofdownendings.wordpress.com ) and is on every social network, website, and games service know to man under the name Seiibutsu. Look for him and he's there. Like some sort of terrible virus.